What is a Glaze Recipe? When a potter is desiring a glaze that goes outside of what is already pre-made by companies, and wants a larger amount of glaze than what is usually supplied by companies, they have to make their own. Making your own glazes can be easy, but for beginners, it can be hard to read glaze recipes. It is important to understand how a glaze recipe is typically written down, so you can tell when something doesn’t add up. Once you understand how to read a glaze recipe you will have the freedom to start creating your own glaze recipes and altering glaze recipes to create new and interesting glazes. It is important to know that there are three basic components to make a glaze. Flux lowers the melting point of silica so that it is attainable to melt them in the kiln. The main important fact to know about glaze recipes is that it is based on a percentage system. This means that all of the ingredients will add up to 100 in the end. The best way to check if a recipe is correct is to do simple math. Add up all the ingredients amounts and if they add up to 100 then it should be correct. Now for special additives such as glaze modifiers and colorants, it will be listed at the bottom of the recipe below the 100. These are additives that are in addition to the 100 of the glaze recipe formula. This can confuse some people, but these additives are to be included as extras and not as the initial 100 from the glaze recipe. It’s a bit like baking a cake: The Cake mix recipe adds up to 100, but if you wanted to throw in some food dye, or some chocolate chips, then these are extra to the cake mix recipe. When you follow the simple recipe formula it will be easier to both understand and change to adjust the glaze. In order to chase the base structure of the glaze, you must change the base ingredients or the quantity of the ingredients. 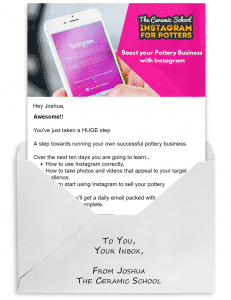 Also, keep in mind that certain potters may not follow the typical 100% recipe formula and there can be some older glaze recipes that do not follow it either. Keeping an eye out for that and checking the math of a glaze recipe is a good thing. Thankfully, for the most part, it is standard to follow the 100% rule. 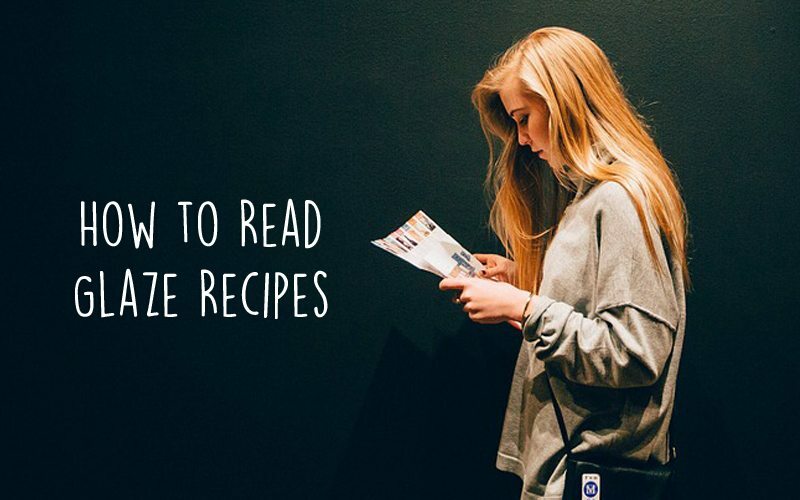 To help you understand how to read a recipe we will break down a glaze recipe that was found on Glazy.org. So, as we can see in this glaze recipe the total for the base is 100. The materials are listed on one side and the amounts of each material are listed next to them. The additives, copper carbonate and bentonite bump up the recipe to 107.3. Nepheline Syenite: This is a flux, which lowers the high melting point of the main glass forming material. Nepheline syenite promotes partial or complete liquefaction. Strontium Carbonate: This is a substitute for barium to produce matte glazes. Strontium carbonate also acts as a flux and modifies the color of certain metallic oxides. EPK: This is a clay which has great suspension capabilities when it comes to glazes and is the refractory component in the glaze. Silica: This is the main glass forming material in the glaze. Whiting: This is the most common source of calcium in glazes and is a high-temperature flux that gives a glaze durability and hardness. Copper Carbonate: This is the oxide or colorant for the glaze. Depending on the firing conditions and how you combined it with other materials it can potentially be shades of green, turquoise, or red. Bentonite: This is useful for glaze suspension and helps with the durability of the glaze when it is being handled before firing. Once you have a collection of glaze recipes it is best to organize them. Sorting by firing temperature first is best to help with keeping each group separate. After you have your main categories then you can make sub categories based on your preferences. This includes colors, main fluxes used, and so on. This is all preferences and each potter has their own way to organize things. In conclusion, we hope that you have a better understanding for reading glaze recipes now and can start making your own glaze recipes! A whole new world of experimentation will be open to you once you start making your own glazes that can really make your work shine brilliantly. 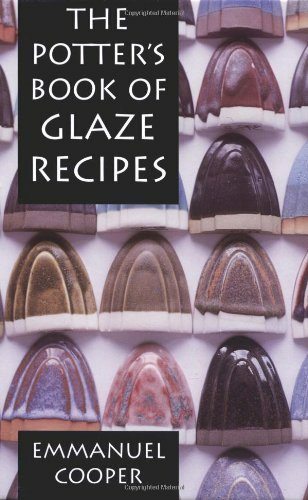 If you want to learn more about making your own glazes, then we highly recommend this book “The Potter’s Book of Glaze Recipes” which you can buy from amazon. 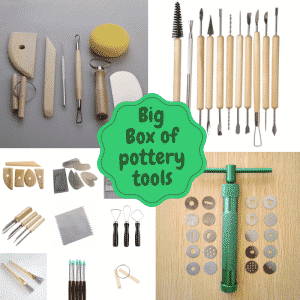 It teaches you about coloring, mixing, and the application of glazes. It has lot’s of information about health and safety issues. Inside you will also find over 400 glaze recipes ranging from opaque, matte, and transparent glazes, as well as crystalline and black iron glazes. What’s best, they are all organized by temperature ranges.